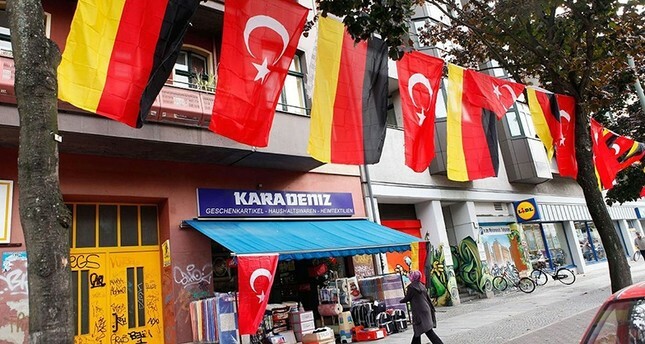 A total of 4,329 Turkish citizens applied for asylum in Germany in the first six months of this year, according to the country’s Interior Ministry, Deutsche Welle Turkish service reported on Tuesday. The number of applicants was 3,206 in the same period last year. However, Germany saw a 16.4 percent decline in total asylum applications in the first half of 2018 over the same period last year, AP also reported. There were 93,316 official applications from January through June, 18,300 fewer than in the first half of 2017. The largest group seeking asylum was from Syria, with 22,520 applications, followed by Iraq with 9,015 and Afghanistan with 6,222. In the first six months of the year, German authorities decided on 125,190 applications, down nearly 70 percent from the same period of 2017, an indication that the backlog of cases is starting to be cleared. About 40,000 people were granted asylum or related protection, 45,000 were rejected and 40,000 cases were otherwise resolved, such as being withdrawn or sent to another European country for review. The new plan also foresees that asylum applicants who previously registered in another European Union country will be sent directly back to where they first entered the EU — primarily Greece and Italy. That issue had led to a clash between Seehofer and German Chancellor Angela Merkel, who repeatedly insisted that Germany shouldn’t act unilaterally by sending asylum seekers back to other European countries that would then have to bear the biggest burden of the influx. The controversy ended last week with a compromise in which Germany will have to make agreements with the countries affected before sending asylum seekers back there. This article originally appeared in Turkish Minute on July 10.